Located in the Art building (central area of campus) the ground floor. From Dole Street, go up the Legacy Path (across from Law School). Keep on going until you see the big Baobab tree, and that's the art building. 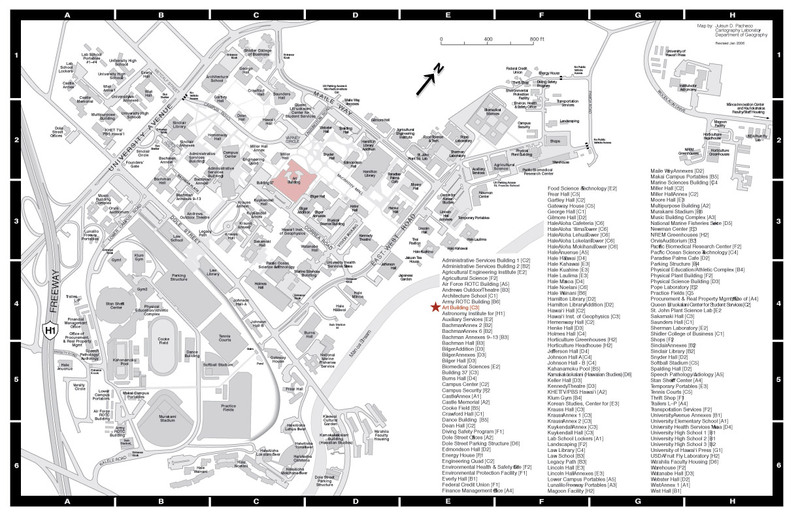 From West side of the campus, pass the Sinclair Library and Campus Center, and look for friendly Papa Lucks. The building is right there. 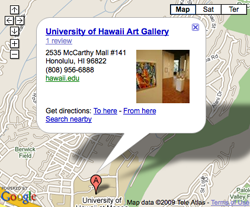 Click here to see the actual google map. Stay on H1 and take exit 24B to merge onto University Ave.
On Google Map, click on "Get Direction," make sure it's clicked for "To here," then enter your address that you are coming from. On the left side column, click on "Public Transit" to see the available theBus options.